The Washington County Law Library is a public law library located in Marietta, Ohio. The library serves the bench, bar, and citizens of Washington County. 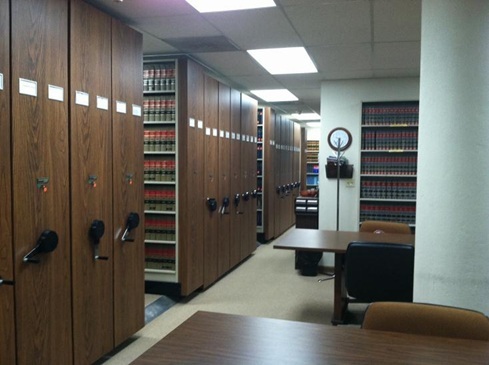 The library is a practice library, focusing on practical materials for attorneys and the pro se litigants. The Washington County Law Library Resources Board of Trustees represents a cross-section of Washington County’s legal community. The Law Library was originally established as the Washington County Law Library Association by members of the bar. Over the course of time, Ohio statutes carved out an additional role for the Law Library in serving the local judiciary, elected officials in Washington County, and members of the Ohio General Assembly. In 2009 legislation expanded these statutory responsibilities to include all local governments and created a new entity called the Washington County Law Library Resources Board to oversee its services to these constituencies and provide a venue for public access. The Washington County Law Library Resources Board operates under a set of written Rules and provides services under a Law Library Use Policy. The Law Library receives a combination of dues, fines and penalties that contribute to support a staff and a collection of print and electronic legal materials specifically directed to meet the needs of the practicing bench and bar. The Law Library also provides resources to serve the needs of pro se litigants. The Law Library is located within the first floor in the Washington County Courthouse. In addition to print and electronic legal materials the library’s services extends beyond the courthouse walls through Wi-Fi, email, fax, and mail all designed to deliver the right information in the most efficient and cost effective manner possible.